When dealing with the death of a family member, you'll naturally want to know how much time you are allowed to take off from work to attend services and grieve your loss. 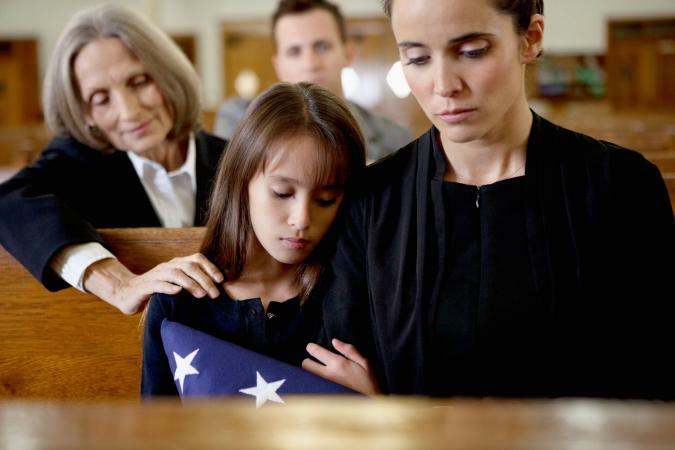 This question is not one that can be addressed by looking into federal bereavement laws, as there is no federal legislation in the U.S. that mandates time off for bereavement leave. While many companies do have policies allowing for bereavement leave, or personal time off (PTO) policies that allow employees to take time off with approval for any reason, there are no federal laws specific to bereavement. In fact, with the exception of the Family Medical Leave Act, which addresses time off due to serious illness and becoming a parent, there are no U.S. federal laws that dictate how - or even if - employers provide time off from work at all. Rather than searching for a federal law on this topic, what you should do is review your employee handbook to see if your company has a policy specific to bereavement. If so, the policy is likely to specify the particular relationships covered, and how much time is allowed. Typically, such policies are very limited, covering only parent, child, or sibling and allowing between one and three days off, but specifics can vary significantly from one company to another. This type of leave may be with or without pay. If your company does have a bereavement policy for which you might qualify, you may be required to provide proof of the situation to your boss or to your company's HR department. There are several ways you could prove your need for bereavement leave. Requirements vary from one company to another; ask your supervisor or HR representative what they need before you start gathering documentation. Some companies may accept a basic written request from you, either as a letter or on a leave request form. You will need to list your relationship to the deceased and give a brief overview explaining your need for bereavement leave and the expected amount of time you will need. If you need to submit documentation to back up your request, you can provide a copy of the obituary, either from a newspaper or memorial website, as this type of write-up generally lists the names of the deceased individual's immediate family. A funeral announcement published on the website of the funeral home may also suffice. You may also need to provide proof you actually attended a funeral or other type of memorial service during your time away from the office. If a funeral program is distributed at the service, you can submit a copy of it as documentation. Another option might be a photo of your signature in the guest book or signage at the event. If an airline approves you for bereavement airfare for travel related to the situation, documentation of this fact may suffice. If your company does not have a bereavement policy, or if there is a policy but it does not apply to your specific situation, the first thing you should do is identify whether you have any accrued time under your company's vacation or PTO policy. If so, follow your company's policy regarding requesting the time off that you need. When submitting your request, explain the circumstances as appropriate to help expedite approval. If you don't have accrued time, either because you are not eligible for vacation or PTO or because you have used all your time, discuss the situation you are facing with your boss. He or she may be able to rearrange your work schedule or allow you to take leave without pay for an agreed upon period. While your employer does not have to approve such a request, you won't know unless you ask. Most employers are willing to work with good employees in such situations. Just be aware that they are not under federal legal obligation to do so.